It seems that, of late, I’ve become a little preoccupied with mini roller sleeves… having quite a selection in my current quiver. 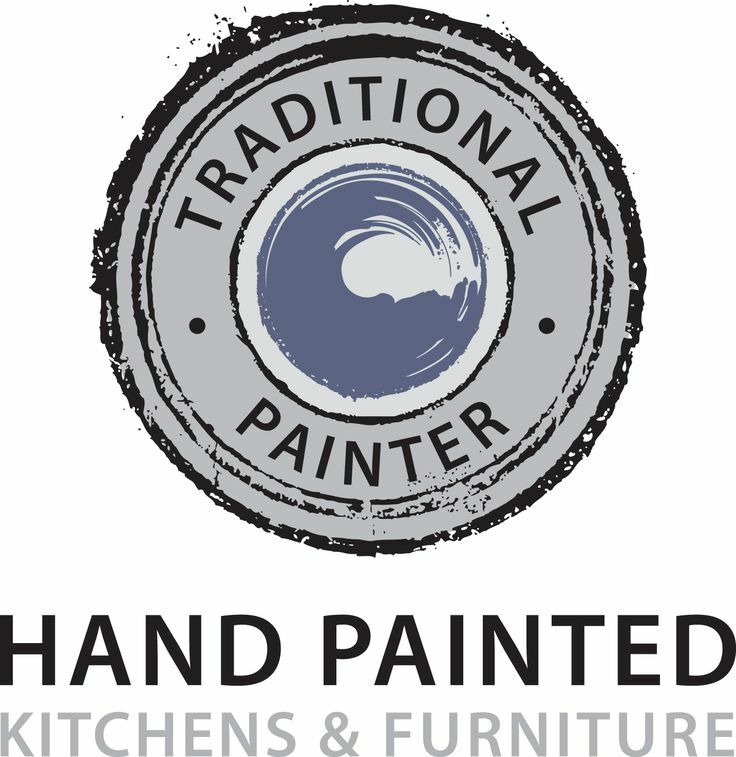 The majority of my output is Hand Painted Kitchens and Furniture, therefore, finished surface quality is at the forefront of my mind. I need a roller that makes my life as easy as possible, but, delivers a flawless finish. Above, you can see a selection of the rollers that I am using. 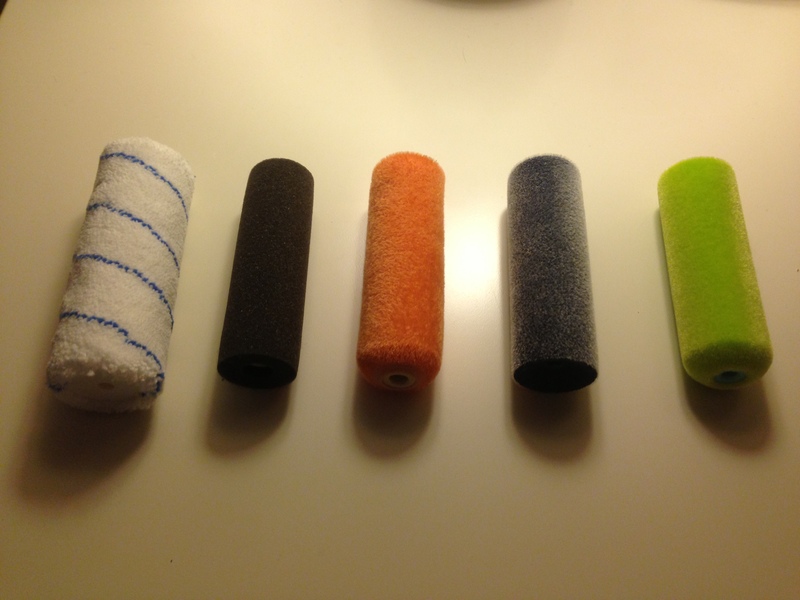 From left to right there is the Dulux Glosser Microfibre, Fat Hog Concave Foam, Roll Roy Orange Velvet, Concave Flocked Foam Roller and an Axus Lime Wood Finish Sleeve. 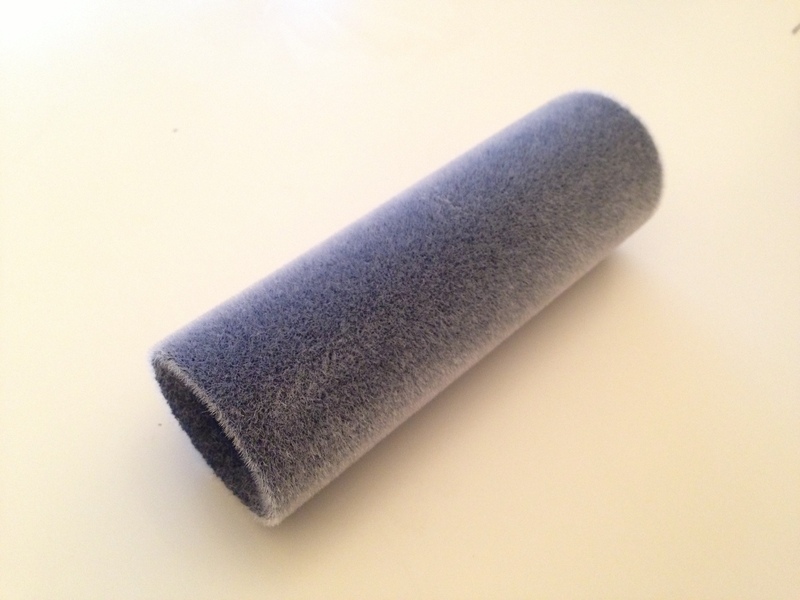 Today, I have been using the Concave Flocked Foam Roller (above), supplied by Decorating Direct. What an absolute joy to use! ready to use out of the pack, the roller has a concave foam core; (which maybe could benefit from being a little more dense) with a concave cross section… for the uninitiated in concave rollers, the theory is sound; the concave ends “fall away” when pressure is placed onto them, thereby not leaving tramlines. This is not new technology – I have been using the Fat Hog Concave Foam Roller for years, to great effect. Where this little beauty scores is the “flock”, the surface is of a “velvet” appearance, being soft to the touch. 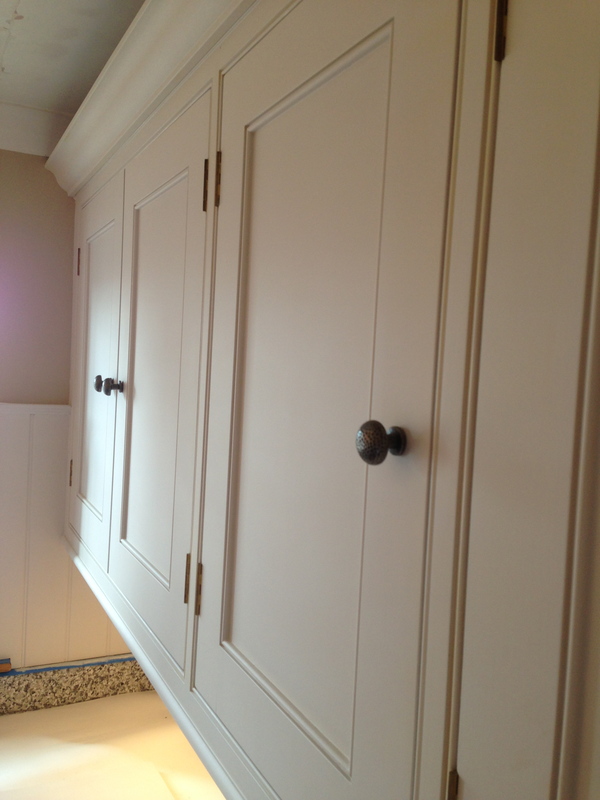 The loading capacity is great and the finish is extremely fine. The sleeve is light and durable, has an easy action and holds lots of material (paint). I’m definitely going to place an order for more, once my supply has started to dwindle. For further information about the Concave Flocked Foam Roller Sleeve, visit Decorating Direct and tell them that I sent you! 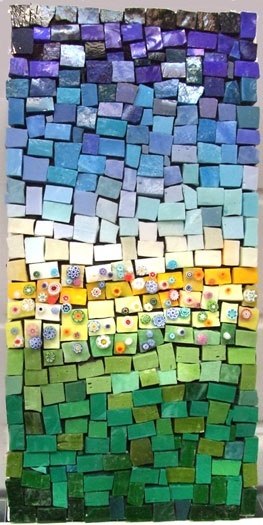 This entry was posted in Uncategorized on February 14, 2013 by mjguestltdblog.